A prominent part of many vehicle telematics solutions is Vehicle Tracking. Typical vehicle tracking systems are comprised of two core parts; location hardware (also known as Vehicle Location Unit or tracking device) and vehicle tracking software. The tracking device is most often hardwire installed in the vehicle. For a straight forward vehicle tracking product, the installation menas fitting the device using a simple three wire connection; ignition switch, battery and earth. Tracking devices using SIRF II or similar GPS receiver technology require the use of an antenna, external to the device, fitted in the line of sight of the sky to receive optimal GPS transmissions. A second antenna is used to transmit the data off board the device, commonly using a mobile data network such as GPRS. Latest generation GPS receivers may mean that installation foregoes the use of an external GPS antenna. 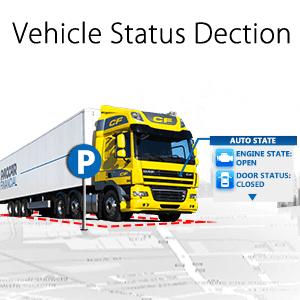 As stated, the typical tracking hardware for a fleet management solution uses GPS to pinpoint location. Updates are transmitted at a regular timed interval, or after and including an event trigger, such as ignition on / off. This location/ journey data is commonly made available to the user by the service provider, via a website, where a secure login enables fleet activity to be viewed live and or historically, using digital mapping and reporting tools.